“Horseplaying from A to Z” was shot on location at Gulfstream Park in Florida and features a total handicapping perspective from no fewer than six accomplished public racing analysts. Following the video, a follow-up Q&A session will be offered, and video analysts Tom Kelley, Joe Kristufek and Jeremy Plonk will take questions from the Night School students. Simply enter the Night School console at 8:30 p.m. ET and join in. The full-length video also will be viewable in the Night School archives for those who cannot attend the live session. The 90-minute classes are offered every Tuesday for 40 consecutive weeks through Dec. 3. Topics change weekly, and fans are eligible for prizes and rewards for registering. Registration is optional and free. There is never a charge for taking part in Night School. The weekly program is offered in three media: live chat via the Cover It Live live blogging/chat forum, audio/radio streaming and full video lesson plans. The media of delivery is based on the subject matter and alternates throughout the season. Presenting title sponsors for Night School are the National Thoroughbred Racing Association, American Quarter Horse Association, Keeneland, Churchill Downs, Inc., and the United States Trotting Association. This week’s Night School will be followed at 10:00 p.m. ET by the “After Night School Special,” featuring live racing from Mountaineer Park. The segment will cover the evening’s final race in real time with free, live-streaming video. Fans wishing to take part in the Mountaineer action simply need to remain in the Night School chat after class. 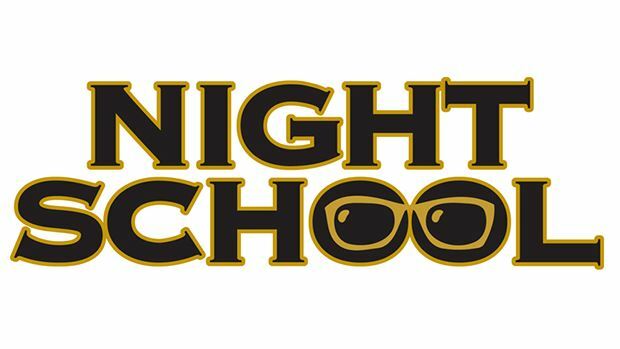 The Night School lessons continue each week with the “Night School Friday Night Live” from Remington Park, featuring expert analysis and live chat for an entire card of action with complimentary live streaming video. The Friday live chats—co-hosted by track announcer Dale Day, morning line maker Jerry Shottenkirk and Horse Player NOW’s Jeremy Plonk—begin at 6:30 p.m. ET and extend through the evening’s final race.